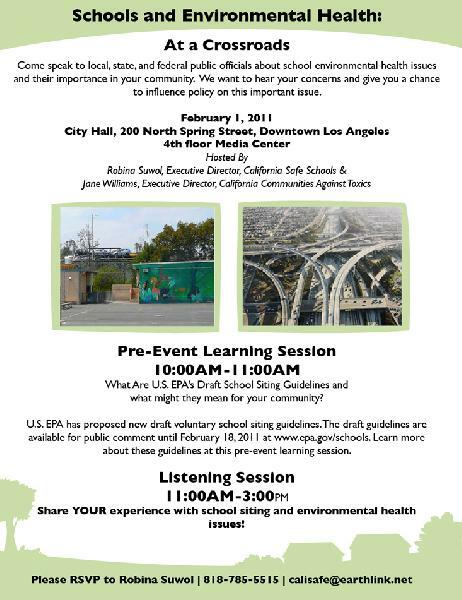 Come speak to local,state,and federal public officials about school environmental health issues and their importance in your community.We want to hear your concerns and give you an opportunity to influence policy on this important issue. U.S. EPA has proposed new draft voluntary school siting guidelines. 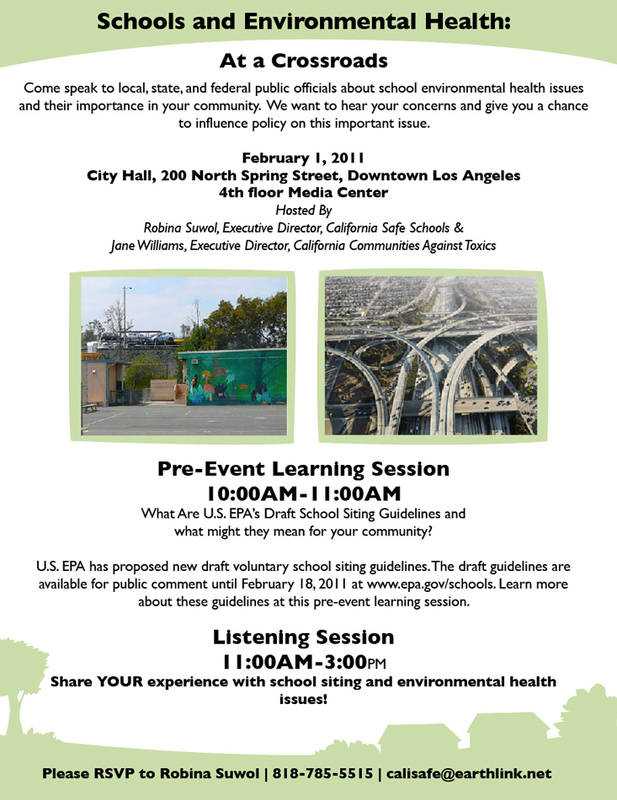 The draft guidelines are available for public comment until February 18,2011 at http://www.epa.gov/schools. Learn more about these guidelines at this pre-event learning session. and what might they mean for your community?